Start your journey as a pokemon trainer, battling wild Pokemon, other trainers, and gym leaders. Can you collect them all? 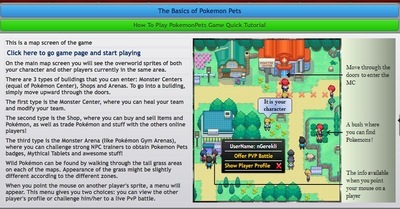 For anyone who has ever wanted to play Pokemon, but never owned a Gameboy, PokemonPets is for you. 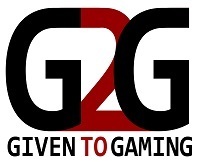 An Indie game developed by fans, it has no associations with Nintendo or The Pokemon Company, meaning it is not-for-profit, and free to play. And when I say free to play, I mean completely free. There are no in-game purchases or premium perks for donators, and there is no need to download, as it is all browser-based. PokemonPets was designed for Chrome and Firefox, but I use Safari and have had no problems whatsoever. 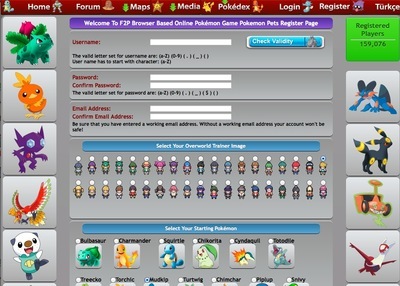 Upon registering, you can pick your trainer name, representational sprite, and starter pokemon. After that there is a fairly extensive tutorial which you can read, but I found it easier to just get stuck in, and then refer to it if I came across anything I was unsure of. What I think is so great about this game is the pure level of dedication that went into it. Since all the work was voluntary, it is quite an achievement. 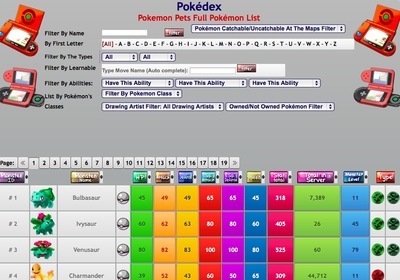 PokemonPets has a complete database of every pokemon and their statistics. It has animated interaction, the ability to battle other players from around the world, and that on-going mission to 'collect them all'. 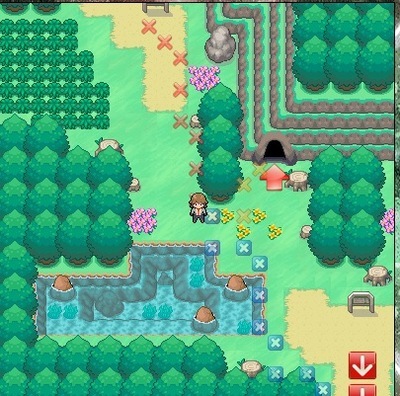 Players start off in Starfall Town, which has a pokemon centre, where you can heal your pokemon team. If all your pokemon get knocked out in a battle, you will automatically be transported to the nearest pokemon centre. This is both helpful and annoying, as it means you don't have to make the long journey back through several maps, but also means that you have start back at square one again. 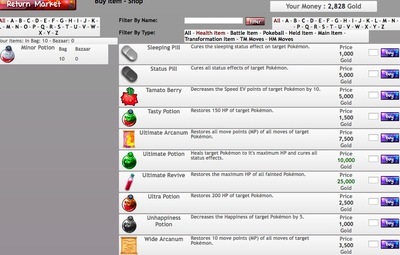 There is also shop, where you can buy, sell, and trade supplies, such as pokeballs, healing potions, evoution stones, and even pokemon. etc. There are nineteen zones to explore, and each one has over twenty individual maps. 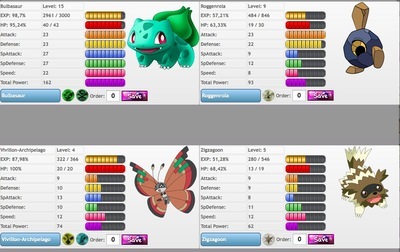 As you travel on journey you will get battle wild pokemon, whose levels get more advanced with each progressing map. 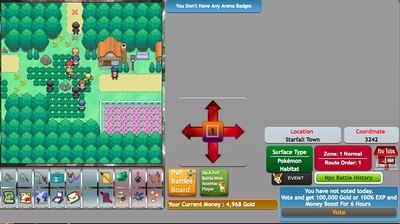 As well as battling computer generated pokemon, you can challenge NPC (gym leaders) to earn badges, and challenge other players online. 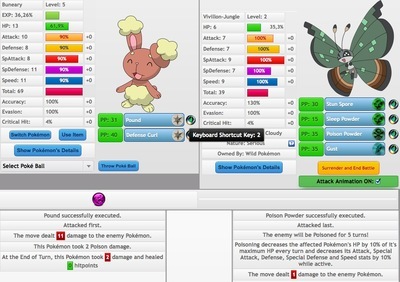 However, I have found that online players do not reply to challenges, but you can get around this with a CPU battle, in which the computer makes the decisions. The only downfall with this game that I can see it within its actual nature - i.e. travelling from map to catch pokemon. It is fun for a while, but after a dozen or so battles it becomes a bit repetitive and boring. I find playing little and often is the most entertaining, rather than long gaming sessions.